Just as clutter exists in the physical world, it is also present in the digital world. With hundreds of thousands of apps available for download, your phone can easily get crowded making organization more challenging. These five apps are some of our current favorites for busy entrepreneurs trying to simplify their life and consolidate important information. Trello can be described as the Pinterest of organization. It’s an intuitive way to approach everyday tasks, work projects or school assignments. Users create boards with a list of to-dos, notes and attachments, to which they can assign due dates. Only one account is needed; boards can be made private or shared with the relevant group. Users can easily toggle between groups and boards. Because Trello is accessible both as a website and mobile app, it’s ideal for a modern working environment. Set Trello to send updates and reminders directly to your email or as notifications on your phone. It is available on the web, iPhone, iPad, Android and Slack. Its pricing options include: Basic (free), Business Class ($9.99 per month billed annually) and Enterprise ($20.83 per month billed annually). Calendly claims to save you “2 to 3 minutes for each meeting you schedule.” Users create event templates that can be saved and reused. Calendly offers functionality for interviewing – use a direct hyperlink in your email signature, create specific event types to fit your business’s interview process and send reminder emails to all parties involved automatically. Set up “buffer time” before any meeting to allow for a prompt arrival or create automatic response emails to confirm or decline a meeting, saving you time. Calendly can be embedded three ways ―inline, a popup widget, or popup text – which is appealing for businesses looking to integrate this feature. Currently, it is only available as a web application. Pricing options include Basic (free) and Premium ($8 per month billed annually). Dropbox is the most popular app on this list with over 500 million users. Its easy-to-use interface allows for fast uploading of files up to 20 GB. Files sync to all your devices, safeguarding your files against accidental loss of a mobile phone or tablet device. Work colleagues can collaborate and share documents via Dropbox. Also, it can be used for backing up photos, presentations or music. As a bonus, users can get 500 MB of free space for each friend they successfully refer to the site with free space capped at 16 GB. Dropbox is available on the web, as a desktop app, iPhone, iPad, Android, Kindle Fire and Windows phone. Pricing options include Basic (free), Pro ($8.25 per month billed annually), Business ($12.50 per month billed annually) and Enterprise (varies). Evernote functions as a digital Post-It. Create notes and sync them across two devices at the free membership level. Evernote’s “notebooks” can be saved directly to your phone if you’re traveling to an area with no service but is only available with the plus and above membership levels. The app can be used for lists, reminders and note-taking during presentations. Business owners and networking professionals will appreciate the ability to photograph and organize business cards. For extra security, a passcode feature can be enabled to access the mobile app. Evernote is available on the web, iPhone, iPad and Google Play. Pricing levels include: Basic (free), Plus ($34.99 per year) and Premium ($69.99 per year). If you don’t like Carrot’s attitude, there is a “disable snark” feature. Carrot’s abrasive personality is what makes it stand out. Carrot is a series of five different apps, each with a different functionality. Users have to complete tasks and unscramble puzzles to turn off the alarm in the morning. Stay organized with the To Do Talking Task List, which offers unique rewards for completing tasks, but punishments for failing to finish them. While some users will be aggravated with using five unique apps to do what other apps combine into one, others will like the freedom to pick and choose what they are interested in. Carrot is available as a Mac desktop app, and on the iPhone and iPad. 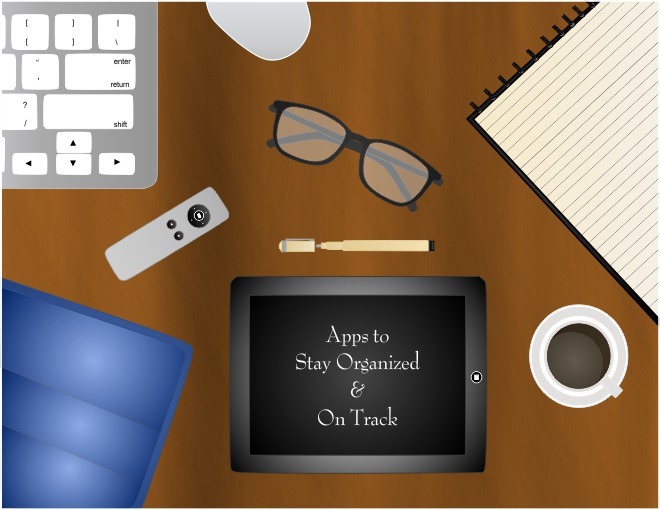 Finding ways to stay organized and on track in the midst of chaos is the mark of a successful entrepreneur. Technology can be a powerful tool in maximizing your productivity but only when used wisely. Ultimately, it’s up to you. Are you willing to do what it takes?